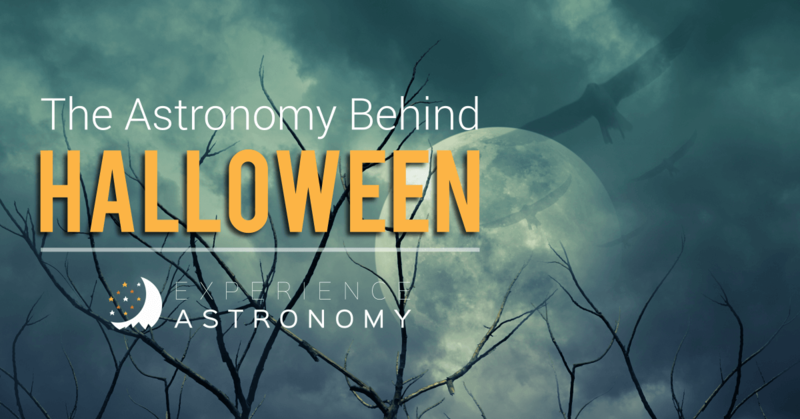 I get that a lot of Christians have weird feelings about Halloween, but it has a fascinating history—and it relates very much to the subject of astronomy. The sun does not rise and set in the same place on the horizon throughout the year. Of course the sun always rises in the east and sets in the west, but not always due east or due west. This is because the Earth is tilted: when the Earth is on one side of the sun, our hemisphere is tilted away from the sun (this is our wintertime), and when we’re on the other side our hemisphere is tilted toward the sun (this is summertime). In the winter, the sun rises further south on the horizon and has a shallow arc through the sky through the day. It rises late and sets early, giving us only a little daylight. In the summer, the sun rises further north on the horizon and has a big arc through the sky. It rises early and sets late, giving us a lot of daylight. The Solstices – The day when the sun rises and sets on the horizon the furthest south it will go is called the winter solstice (this is the shortest daylight day of the year). The day when the sun rises and sets on the horizon the furthest north it will go is called the summer solstice (this is the longest daylight day of the year). The Equinoxes – The days when the sun rises and sets directly due east and due west are called equinoxes—once in the fall (the autumnal equinox) and once in the spring (the vernal equinox). These days see an equal amount of sunlight and nighttime. In modern times, we usually call the summer solstice “the first day of summer”—which is a little odd because its the longest day of the year, which means after that day, the daylight hours start getting shorter. Other ancient cultures like the Celts of the British Isles and the Shinto societies of Japan marked the beginning of seasons a different way. These cultures marked the days in between the solstices and equinoxes as the beginnings of the seasons. These are called cross-quarter days. 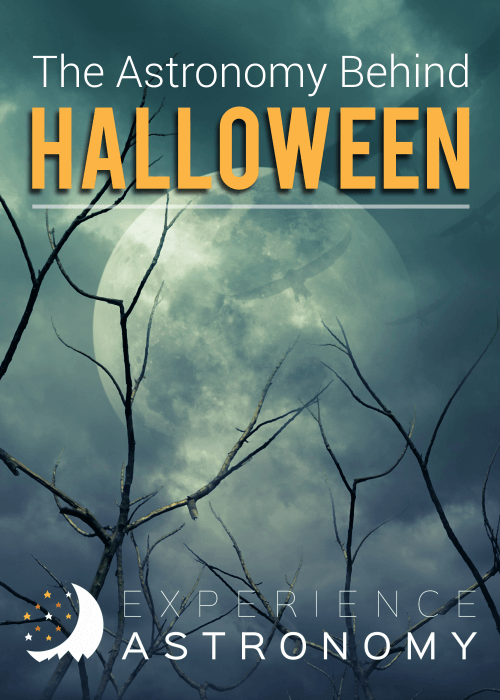 We still have cross-quarter day celebrations in different cultures around the world—like Groundhog Day (February 2), May Day (May 1), and Lammas Day (August 1), but Halloween (October 31) is probably the most famous cross- quarter today. For the ancient Celts, these cross-quarter days were roughly the dates for the beginnings of their seasons, and Samhain—meaning “summer’s end”—was celebrated at the end of October every year, marking the end of the harvest season, the transition between summer and winter. Understandably, ancient Celts approached winter with a sense of trepidation as the long, cold months approached—a time for them to consider their own fragility in the dark days ahead. Samhain was sort of like their own sobering version of New Year’s Eve. There in the green hills of Ireland, the Celts believed this was a season when the veil between our world and the next was very thin, allowing the spirits to easily move back and forth. Feasts were held and the souls of departed relatives were invited to come. Because not every spirit was deemed friendly, various rituals and offerings were used to ward off or appease them. Later on, the church moved All Saints’ Day to November 1, making October 31 “All Saints’ Eve” or “All Hallows’ Eve”—which is where Halloween comes from. What Does Halloween Have to Do with Saints? All Saints’ Day used to be on May 13th. It was a time to honor the departed saints—especially the martyrs—who have come before us. Pope Gregory III (731-741) moved All Saints’ Day to November 1, and in 835, Pope Gregory IV officially fixed the date for worldwide observance. No one really knows why this happened? According to Ronald Hutton’s book, The Stations of the Sun: A History of the Ritual Year in Britain, some believe it was because Gregory was trying to align All Saints’ Day with Samhain, others think it was related to Germanic influence. Regardless of the Pope’s intentions, in time Samhain and All Saints’ eventually co-mingled, leading to the variety of Halloween traditions we have today. So, no matter what you do on October 31, remember it all began because our ancient ancestors were sky observers. It marked for them the end of an old season and the beginning of a new one. Wow! I never knew that! Thank you for a detailed, yet, easy to understand explanation! Glad I made it easy to understand. Hey could you have a print button like recipes do so we can print these awesome articles to go in the kids Experience Astronomy binders? Love this, I’m learning so much with my kids as I never learned a wink about it as a kid. That’s a good idea. I’ll see if I can make that happen. Really appreciate what you’re doing. Have several science teachers tuning in. Blessings, Bonnie …formerly of Petoskey and Montague, now missionaries in Appalachia. Wonderful! Let me know if you’d like to see more articles about specific topics. As a 71 year old believing Grandmother how wonderful it is to hear such positive truths to share. As a Christian who loves our holidays and the children’s delight, it is so personally wonderful to enjoy Halloween and not feel guilty!!? Yes. I really believe all days of the year can be redeemed for the glory of God. do you have a video about it???? No, but that’s a great idea. Love love love the course so far! Any chance making a video of this will be in the works?? Would still be interesting after next week too. Thanks!